As the world was recently witnessing a historic transfer of power from Barrack Obama to President Donald Trump, a political crisis was brewing in Gambia, West Africa in what had threatened to metamorphose into a bloodshed. With former President and arguably one of Africa’s most feared dictators Yahya Jammeh refusing to relinquish power after a momentous defeat, collaborative and diplomatic efforts finally saw Mr. Jammeh hounded out of office after 22 years of autocratic rule synonymous with plunder of public resources, misuse of state institutions and human rights abuses. Gambia is a classic case of the power citizens of a country possess when they exercise their civic and democratic right to vote, the triumph of the rule of law- irrespective of how long it takes, and how the possible it is for regional blocs to midwife and shape the destiny of member states if they have teeth to bite. From the power of the vote demonstrated by the Gambian people, to the integrity embraced by the electoral management to announce the will of the people which saw them flee their country for fear of their lives, to the concerted efforts by the leadership of neighbouring countries to pressure Jammeh to cede power, Gambia has indeed spoken and inspired other countries where vote fraud, rigging and the blatant disregard of the will of the people by authoritarian regimes that it can never be business as usual. But what remains the most powerful show of solidarity in the Gambian case was the intervention of the West African regional bloc, Economic Community of West African States, ECOWAS, that has traditionally been known for its no nonsense stand in restoring peace and normalcy since its Nigerian- led interventions in the Liberia and Sierra Leone conflicts. When it appeared that Jammeh had no intentions of relinquishing power, the ECOWAS contingent moved in but gave Jammeh time to leave peacefully in what has been hailed by pundits as crucial in avoiding a bloodbath. It is perhaps one of the greatest lessons other regional blocs like the East African Community, EAC, and Intergovernmental Authority on Development, IGAD, can borrow a leaf from in addressing the Burundi, Somalia and South Sudan cases where disunity among member states and lack of political will continue to cost hundreds of lives and wanton destruction of property. 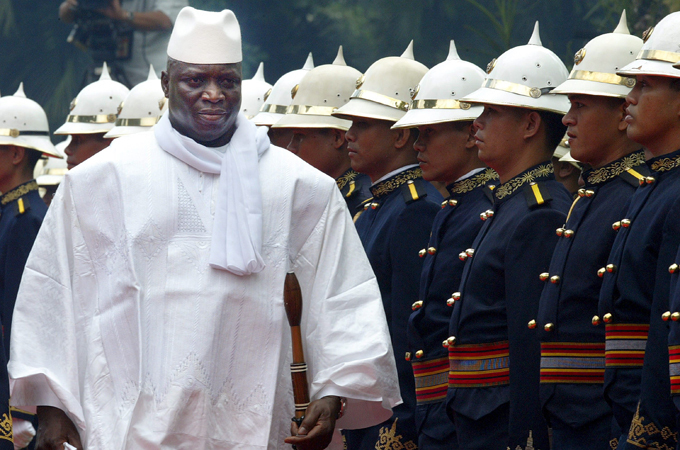 It is actually possible to get rid of African dictators without bloodshed; Gambia just taught the rest of Africa how to.